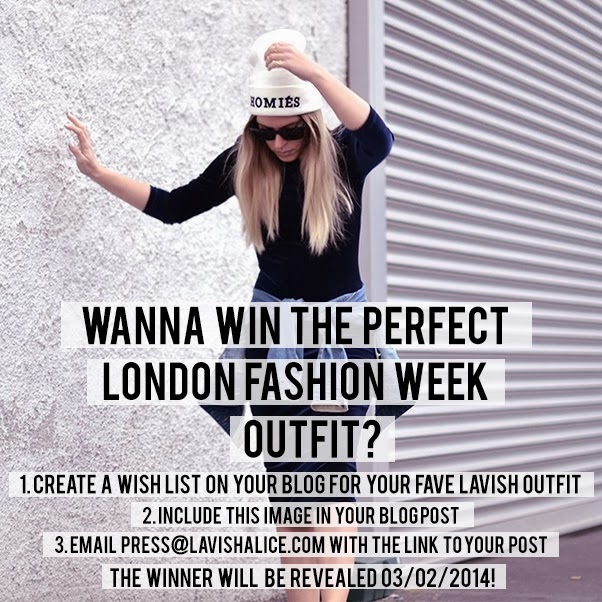 Lavish Alice got in contact with me about a competition they were holding for London Fashion Week. Basically, you have to put together a Lavish Alice outfit including 2 items from the new collection. I put together a monochrome outfit using the new giraffe dress that has just arrived online. My favourites are the dress and the boots! I love the print on the dress and shift style, just throw on a nice leather jacket and you're good to go. The boots are perfect! I'm a massive fan of cut out boots and these aren't too high so perfect for LFW. Perspex is showing to be a big trend for S/S '14 so this earrings and ring would be a good buy and will definitely catch the attention of the fashion eye. Fancy entering? Just follow the rules below. Ah that dress is gorgeous!! Good luck with the competition!